Přepisy úloh poslechu jarního didaktického testu 2015 poslouží ke kontrole poslechové části didaktického testu z angličtiny. 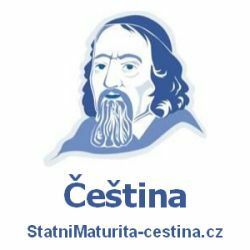 Ideální pro finální ujištění se o správnosti odpovědi v poslechových úlohách maturitního testu z anglického jazyka. Přepis maturitního poslechu z angličtiny 2015 připravil exkluzivně Nový Amos pro všechny maturanty tohoto ročníku a další, kteří se budou na posleších z uplynulých ročníku maturity na svou maturitu připravovat. This is the worst day of my life. First, I left home without my umbrella. Then, of course, it started to rain so I decided to return home for it. And, of course, I took the old umbrella by mistake. The one with holes in it. And the worst part is that now I can’t even find my wallet. So here I am, completely wet and angry and I don’t even have any money to buy a warm cup of coffee. The only thing that makes me happy is that I didn’t forget my office keys like last week. W: Excuse me, do you know when the tram number 3 should arrive? M: I’m afraid it’s been cancelled today because of the road reconstruction. But there’s a bus instead you can take. W: Does it go to the Metropolitan Library? M: Sure. It goes the same route as the tram number 3. But I’m afraid you just missed one. The next one will be here in about 15 minutes. M: There are some taxis across the street too. Or, if you don’t want to wait for the bus, you can just walk. The library isn’t that far. W: Walking isn’t such a bad idea. But I’m in a hurry. I’ll just take a taxi. It’ll get there faster than the bus. Just look at this mess. I can’t believe a single thunderstorm could do so much damage. I’m really surprised that my house and my car survived this. I’m really lucky. I mean, just look at that tree. It used to be the largest tree in my garden. And now, look at it. The wind just knocked it right down. Fortunately, it didn’t land on my house. And my car? Just 2 metres to the left and it would be completely destroyed. It was stupid to leave the car outside the garage. So, yeah, it’s going to take a while to clean all of this up, but at least everyone’s safe. W: Oh, Mark, what happened to your nose? Did you get into a fight with someone? M: No, no, Annie. Nothing so serious. It’s rather embarrassing. I was playing frisbee with my sister in the park and teaching her how to throw. As I ran to catch the frisbee, I crashed into a lady who was walking her dog. This woman was talking on her mobile and didn’t see me running towards her. We both fell and her dog bit my nose. It probably thought I was attacking her. W: Ouch. That must have been painful. M: Excuse me. Where is Maple Street, please? W: See, the crossroads? Turn right there and then take the second left. M: Thanks. I’ve been walking around trying to find the street on my map and I got lost in these narrow streets. The map’s good for nothing. M: My family used to live here for generations but my parents decided to move up north in the 1970s. It’s the first time I’ve been here since we left. I was six at that time. W: Well, a lot’s changed. There used to be a park in the place of the shopping centre over there. Some people were angry when they were building it in the park but I think it was a dirty park with more drug users than trees. Everybody was afraid to walk through it so we didn’t lose anything special. It even helped the traffic. Many new streets were built. W: You’d be crazy to walk there. I mean, Maple Street still has a bad reputation. It’s full of pickpockets and patty crime… It’s not a safe place. There was even a shooting last week. W: It’s better to have your mobile on. You can always call and tell someone you are in trouble. M: Ehm, regarding mobiles, I’m more old fashioned than my aunt I’m going to visit in Maple Street. She’s 85 years old and she doesn’t even have a television. She just hates modern technology. Except for a mobile phone. She wouldn’t be able to exist without it. M: Yeah, but sometimes it’s good to switch a mobile off. For example, me, I never take it on holiday. Even as a manager I don’t need to have it on me all the time. My colleagues don’t agree. But I guess every manager should teach their workers to know what to do in their absence. W: Well, my car’s in that shopping centre. We can walk there and then I can give you a lift to Maple Street. M: Oh, great. By the way, my name’s John. W: Nice to meet you John, I am Angela. M: Funny. I knew an Angela when I was a kid. Angela Green her name was actually. She lived opposite us. M: Yeah. Angela was my best friend’s sister. She was two years older than us and she hated us. We were only 6 years old but we were always making fun of her. Welcome to This Is America. This week in our programme, we’ll take a look at an interesting characteristic of the USA – Covered Bridges. In the past, covered bridges in the US were known as “kissing bridges” as couples would stop half way of the bridge to kiss. Today we can find covered bridges everywhere around the world. But only a few people know that they have their origins in China where they were built in windy areas. But it is the USA that is in first place for the number of covered bridges in the world. However, if you wish to cross the longest covered bridge in the world, you have to travel to Canada. This Canadian bridge, over the Saint John River is called the Hartland bridge and it is 1283 feet long. That’s exactly 391 metres. And now back to the USA. Park County in Indiana is called the covered bridge capital of the world because this county has more covered bridges than any other county in United States. At one time, as many as 53 covered bridges existed in Park County. Today, only 31 of those bridges survive. Ten of which are closed to vehicle traffic and only pedestrians can cross them. Every year, Park County celebrates the covered bridge festival. This festival began in 1957 as a three-day spring festival. In 1970, the date of this festival’s moved to autumn because more tourists come to the county in this season of the year. The festival begins on the second Friday of the autumn and lasts ten days now, which is seven days longer than in the past. The most famous covered bridge in the USA is Smith Bridge. In one story from 1890, two schoolfriends were returning home at night. Suddenly, on the other side of the bridge they saw an Indian woman. She was about three metres tall and was carrying a child or as the boy said a pahpoose. “Pahpoose” is an old American English word for an Indian child and it is spelled P A H P O O S E. The boys quickly ran over the bridge but when they reached the opposite side, the old woman was gone. W: 4 tickets for the film Zorro for this weekend, please. M: I’m sorry. The Zorro tickets are sold out for Saturday and the film’s not shown on Sunday. We play Love in Paris on Sunday, interested? W: Sunday would be fine but my friends and I want to see Zorro. Is Tuesday sold out too? M: We have 4 tickets for Tuesday, but they’re in the first row. M: Let me look at Wednesday for you. Yes, Zorro is shown on Wednesday too but in the original language without subtitles. W: I see. But my friends don’t speak Spanish so we can’t watch the film without subtitles. I’ll take those first row seats then. M: Okay, it’s 40 dollars altogether. W: Sam, would you like to play baseball with us today? W: I thought you liked baseball. M: Only to watch. My son plays it so I often go to support him. He’s always talking how he’s going to become a professional player and win the championship one day. I don’t agree with it of course. I want him to think of school more and go to university. I played baseball for our school team when I was a child. Although I never wished to become professional like my son. I know how hard this sport is on your body. I had to stop playing because of my arm and I don’t want to see him to have the same health problems. Fortunately, he’s not interested in rugby. Baseball is definitely less dangerous than rugby. W: I heard you finally left your job. M: Yeah. For a while I was afraid of having no money before finding a new job. But I’ve realized I have enough money for a few months. It should be enough to find a new job. And if I don’t, my boss said I can always return. He even offered me a better position in the company for more money. But it wasn’t about the money at all. Imagine, me and 20 other people working together in one huge open office. I could always hear the phone calls and conversations of everyone around me. I complained and asked for a separate office. My boss was very nice as always. He understood the problem but he couldn’t do anything for me. Hi Jimmy, it’s Mark. Thanks again for the recipe. You’re a real friend. I know I shouldn’t be so nervous but I’ve never cooked such an important meal. It’s always my wife who prepares everything. You know, she’s a great cook and so is her mother. My mother-in-law is sometimes angry with me that I don’t help my wife in the kitchen. But now, my wife’s out of town and I have to do the cooking myself. It’s already six o’clock and the chicken isn’t ready yet. What was I thinking when I invited my boss for a meal. If I don’t do this right, I’ll never get the promotion. Oh, Jimmy, if only you were here.